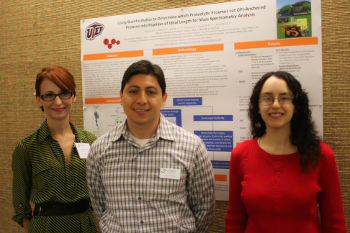 Objectives: The sixth annual undergraduate research conference provided opportunities for undergraduates to present their research at the interface of biology and mathematics. Student talks and posters were featured as well as a panel discussion on career opportunities, graduate school showcase, and networking opportunities. Faculty and students were invited to attend, as well as middle and high school teachers. Click here for more past conference photos.